Tuned In Travel - STANDON CALLING - JOIN THE PARTY! STANDON CALLING - JOIN THE PARTY! The dates are set, the headliners are booked and the tents are waiting to be pitched; Standon Calling is ready for another unforgettable year. From 26th to 29th July festival lovers can unite in the beautiful grounds of Standon Lordship, Hertfordshire for a weekend of music and more. Those who have been before are keen to call Standon Calling exactly what it is, an experience like no other. It takes all the best bits of a festival and mixes in its own unique extras. At the top of the list is the festival pool, available for partiers to cool off in when they wish to take a break from dancing. The goodies don’t stop there! Valuing their attendees wellbeing, the festival has also been known to offer yoga, hot tubs and massage tents – this year’s wellbeing treats are yet to be announced but are sure to be loved! Standon is also unique in allowing ticketholders to bring their dogs along with them, entertaining the fury friends with waggiest tail and ‘looks most like owner’ competitions. This year’s line-up is huge with Paloma Faith, George Ezra and Bryan Ferry headlining the main stage. Others making an appearance include The Horrors, The Amazons, Akala, Ibibio, Tokio Myers and many more. For those who are seeking something more electronic there are some great acts for you too with 2MANYDJS, Hot Chip Megamix, George Fitzgerald (live), Elderbook, DJ Yoda (live) to name a few. There are still acts waiting to be announced so keep your ears open. If you and your family are looking for entertainment beyond the all of the above the festival has yet more to offer. There will be comedy acts including Lucy Porter and Kerry Godliman; Rockaoke; a music quiz; a swing dance area. The costume parade and competition is back again, this year of which is themed ‘The Future’. Little festival goers are also well catered for with live shows from Horrible Histories, performance from Andy and the Odd Socks, a woodland tribe play area and much more! No matter if you have already got your Standon Calling ticket or are planning to get soon, it’s a good idea to get your travel sorted. Travelling to and from a festival can be stressful and expensive, but not with Tuned in Travel. We take care of all the hard stuff for you so you can focus on the most important thing – having fun! We are offering weekend return coaches from London Kings Cross, St Albans, Luton, Stevenage, Bristol, Brighton, Birmingham and Manchester as well as a shuttle service from Bishops Stortford, Ware and Hertford – great for those travelling locally. If you’re travelling in a larger group there is also the option of a private hire vehicle. You can pick a time and location to suite you and your group. There is even the option of multiple pick up and drop offs if needed! A fantastic way to chauffer you and the group to and from Standon at a competitive rate. 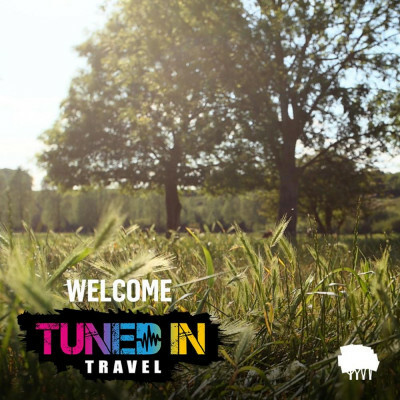 Tuned in Travel are determined to make your trip as smooth as possible while ensuring the impact on the environment is minimal. Audience Travel to festivals such as Standon accounts for a huge percentage of the events carbon footprint. To tackle this we have teamed up with the UK charity Energy Revolution. Together, we aim to balance fossil fuel travel miles, giving you a chance to offset the pollutants generated during your festival travel with an investment into clean, renewable energy. 100% of donations made when you purchase your travel ticket will go to towards creating clean energy.